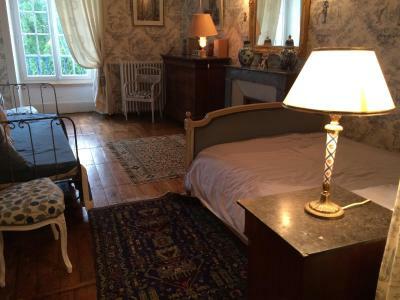 Lock in a great price for Château de la Chabroulie – rated 8.6 by recent guests! Breakfast was delicious. The host recommended a wonderful restaurant for dinner and called to make a reservation for us. 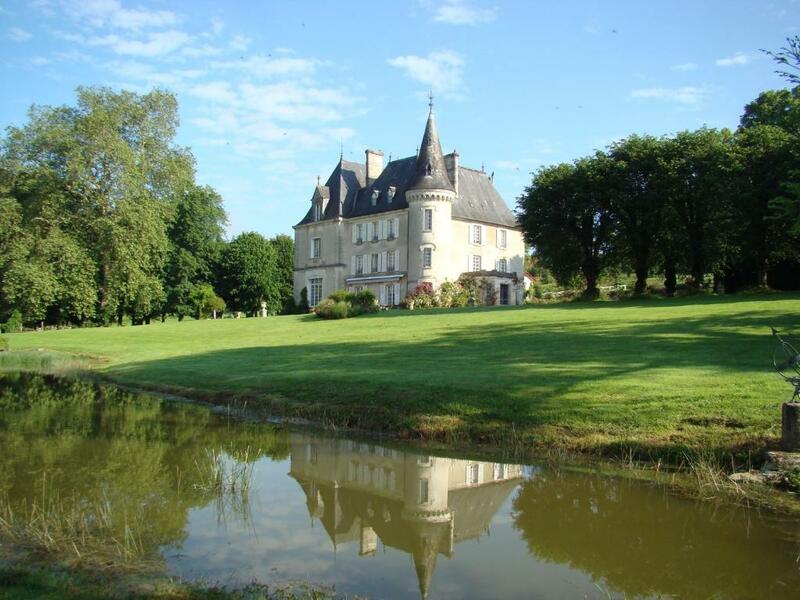 It is a beautiful Château, very quite in beautiful surroundings. Very clean and it is very peaceful. I can’t recommend it enough, the hosts are fantastic, especially Phillip. We will definitely visit again. Fantastic. 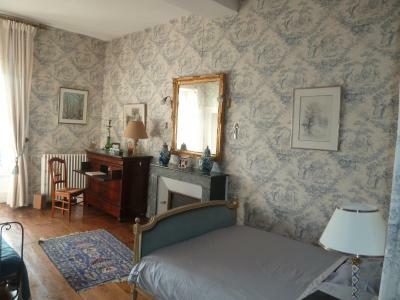 Large bedroom, an experience staying in a Chateau, the family were lovely. 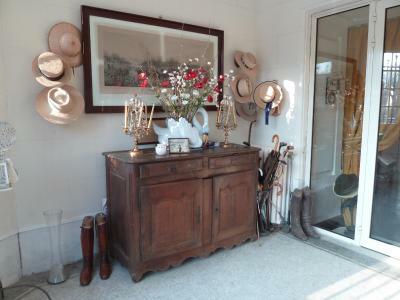 Superb location in countryside and lovely property. Typical excellent french breakfast. Chateau grounds very beautiful..lovely pool..interesting place in general. Very different from anywhere here I have previously been. The chateau and grounds are beautiful. 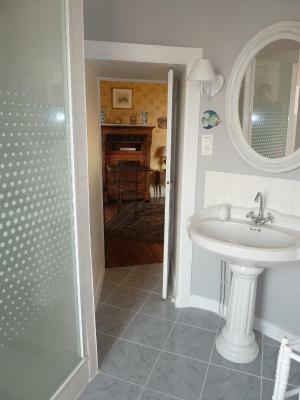 The location is excellent for the airport and for Limoges. You are made to feel part of the family. Absolutely LOVED the chateau! 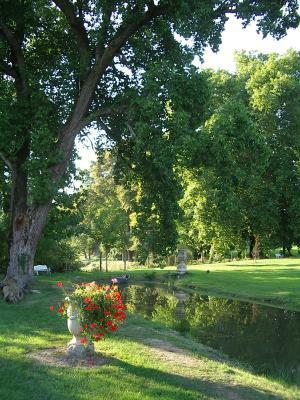 Stunningly beautiful home and surroundings and our first time in a country French chateau! 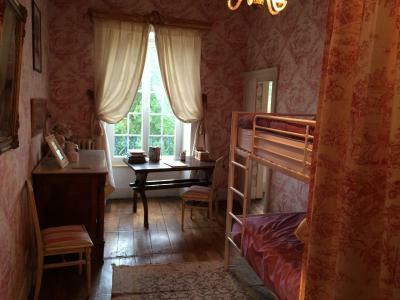 This is what is called a Chambre d'Hotes (hosted rooms?) and is not a B and B and is not a hotel. You are staying in someone's home with them and breakfast is also available. We felt so honored and privileged to have been able to stay at this beautiful home, with its gorgeous furnishings and it is a pity we were unable to meet the owners. As it was, we almost had it all to ourselves! Breakfast was very nice. Bed was very large and very comfortable. Room was enormous. 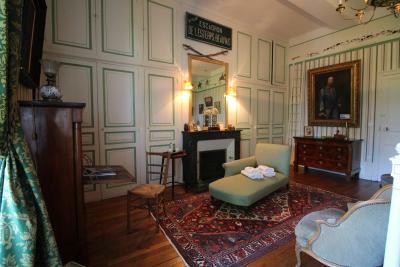 The chateaux is very beautiful with all of its original features. Our host Philip was very helpful. 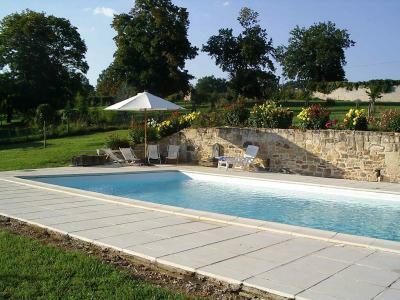 In the heart of the Limousin countryside, Chateau de la Chabroulie features an outdoor swimming pool surrounded by nature. 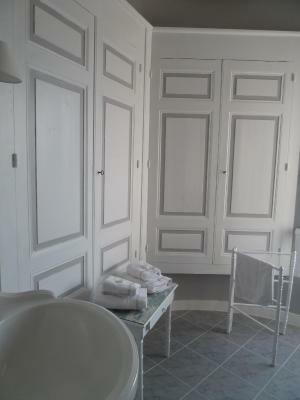 It offers spacious, elegantly furnished rooms. 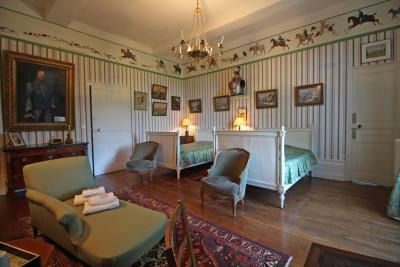 The rooms at Chateau de la Chabroulie are individually decorated with antique furniture. 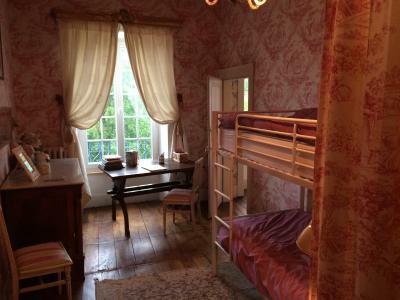 They come with a private bathroom and free Wi-Fi access. 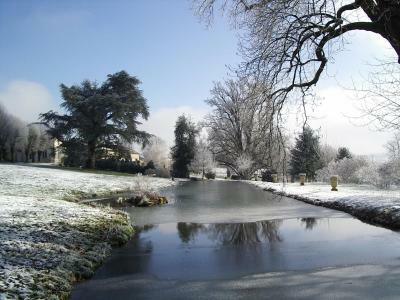 Guests can relax in the pool and in the Castle's parkland. Every morning breakfast is served in the dining room or on the terrace, and there is a library lounge. 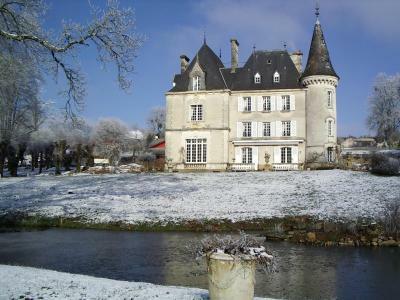 Chabrouille castle is only 2.5 miles from central Limoges. 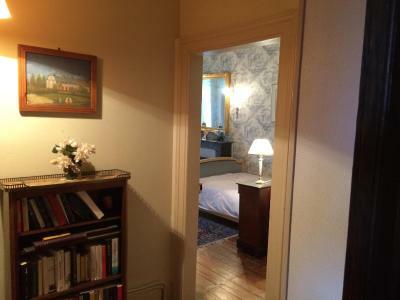 The airport is 6 miles away and the TGV train station 2.5 miles away. 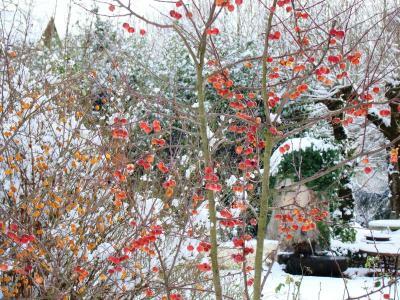 For guests arriving by car, free private parking is available on site. 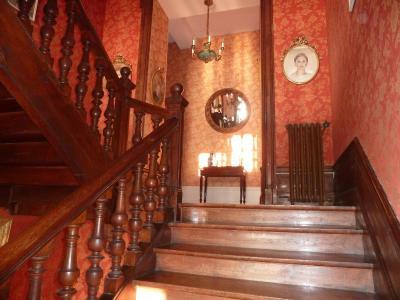 This property also has one of the top-rated locations in Isle! Guests are happier about it compared to other properties in the area. 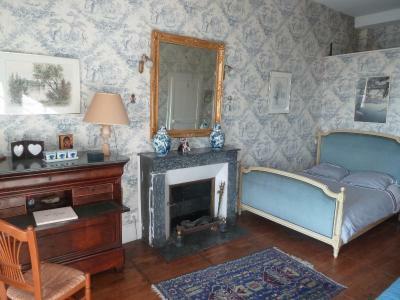 When would you like to stay at Château de la Chabroulie? 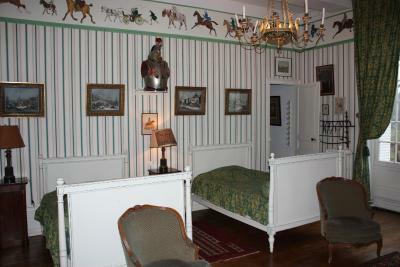 This room offers 18th- and 19th- century furnishings and 2 windows to the east and the south. 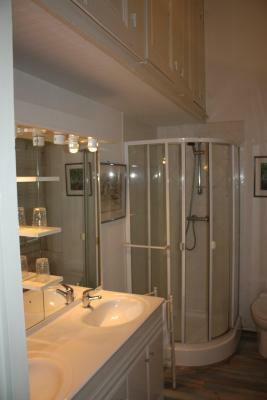 The bathroom is in the castle’s tower. 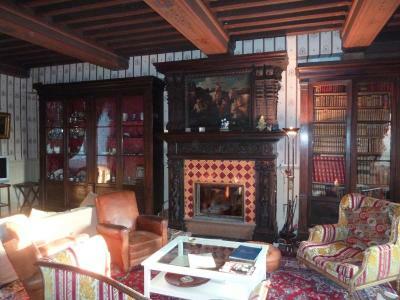 Featuring antique furniture and a romantic décor, this spacious room includes a fireplace. 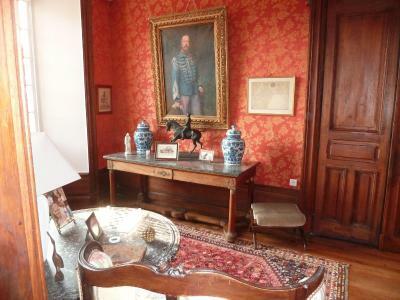 This luminous room is decorated with antique furniture and offers views of the surrounding countryside. 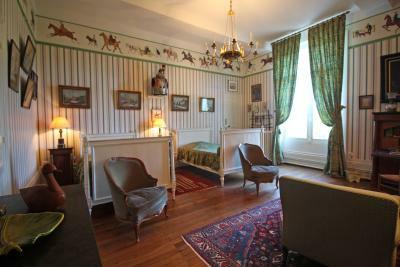 Luminous room with antique furniture and views of the surrounding park. 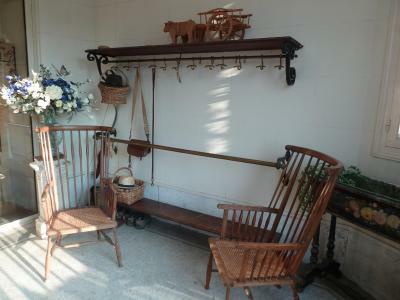 A connecting room is available upon demand. This suite features a sofa, private pool and fireplace. 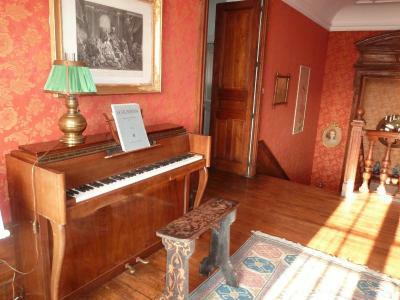 House Rules Château de la Chabroulie takes special requests – add in the next step! Pets are allowed on request if their owner can carry them in their arms and have a cage or basket. The area does not have many eating facilities after business hours. Interesting structure, comfortable bed and room. Our little dog was allowed on special request. Breakfast could have had more variety. Didn't realise that toilet was not en suite although shower was. That wasn't clear enough on the property detail. Also no lock on door. Would have raised this with owner if we were stopping longer or going out but it was not a big issue for an overnight stay. Hosts were very cold. Rooms a bit shabby but clean. Noisy around the stunning swimming pool. Nothing really. Its just that the owners had gone away for the weekernd we stayed there and the friend they had left in charge was not there to greet us. There were some numbers to call if unattended but my French is limited. However i did call and leave messages, thinking we would have to seek alternate accomodation, but the owner called, apologised profusely, called the friend and all was well! It was just a bit stressful. I would also like to have have been told upfront we had to pay in cash - not an issue but we had to go into Isle, find an ATM and go back with the money. I had great stay! 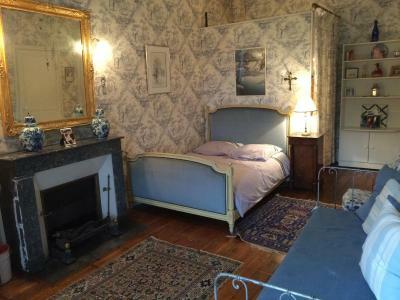 Beautiful chateau, exactly how it’s supposed to be; with character and visibly loved! A reservation in the best (and only open..) restaurant nearby was booked by the super friendly owners. 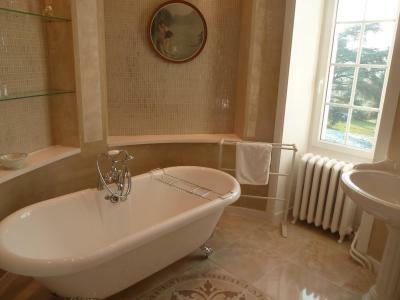 Enjoyed the swimming pool and the amazing bathroom in the tower of the chateau. For me it was the perfect start of the holiday. Very friendly welcome and the owners added some very thoughtful touch's for our 9 month old. Really enjoyed our stay and would definitely come again. Fabulous atmosphere at breakfast. Expected a hotel. Owner seemed surprised I was there/ must have forgotten the booking. Room very chilly. Had to ask for small electric fire as main heating all turned off.